PAX East has come and gone. BrainLazy’s biggest venture out into the expansive and impressive world of gaming is over. 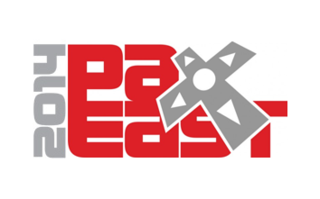 Let’s face it, PAX East is the BrainTrust’s collective favorite time of the year. It’s a time for geeking out, playing video games, and eating like maniacs. Just like previous PAX Easts, this year was no different. As big fans of the indie game scene, we spent a majority of our time at the Indie Mega Booth and the surrounding area. While there were some big devs and publishers there, I personally felt there weren’t too many AAA and AAAA worth taking an extended look at. I’m not your average gamer either as I much prefer titles with a unique gameplay aspect or experience. With that said, following are my top picks which I’ll delve into more with future preview articles. One of the first games to catch my eye while wandering the outskirts of the Indie Mega Booth was Fract. Fract is a “first person musical exploration game” by developer Phosfiend Systems which actually just released to Steam last Tuesday (April 22nd, 2014). I’ve played some exploration games before, but nothing quite like Fract. The idea of exploring a broken down and derelict world while orchestrating your own soundtrack is quite an ambitious one. Relativity, a game by Willy Chyr, is another one that jumped out at me while on the outskirts of the Indie Mega Booth. Tucked away in a cluster of other indie games, Relativity immediately piqued my interest because of it’s Escher-esque visuals. An exploration puzzler with gravity manipulation at the heart of it has me in eager anticipation. The game has already been in development by this one-man team for a year and a half and is slated for release in early 2015. In a world where war is everywhere… The soldiers aren’t the only ones fighting to stay alive. When combat chases you from the light. When battles threaten your family. When everything else is gone. The war is all you have left. This was definitely my “Game of PAX East”. The worst part of playing a game at a convention is the unspoken time limit you have while eager players lie in wait behind you. Unfortunately, from the moment I started playing, I wanted… NEEDED to play it from start to finish. It’s a puzzle-platformer where you control an “amorphic organism” by destroying part of it, allowing its regrowth to progress you through obstacle cluttered terrain. PAX East was much more than these stand-outs, and maybe I’ll add another general PAX East article to my todo list, but for now, keep an eye out on the preview articles for the games above and even more from my fellow Trustees.